Grains - particularly maize, rice, and wheat - are the central component of most people’s diets, but we rarely stop to think about the wider role they play in national and international policy-making, as well as global issues like food security, biotechnology, and even climate change. But why are grains so important and ubiquitous? What political conflicts and economic processes underlie this dominance? Who controls the world’s supply of grains and with what outcomes? 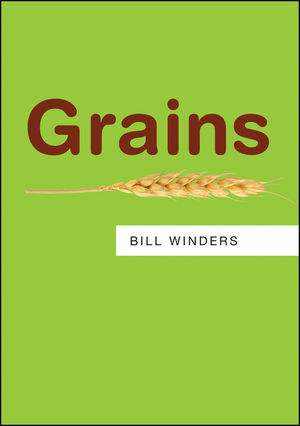 In this timely book, Bill Winders unravels the complex story of feed and food grains in the global economy. Highlighting the importance of corporate control and divisions between grains - such as who grows them, and who consumes them - he shows how grains do not represent a unitary political and economic force. Whilst the differences between them may seem small, they can lead to competing economic interests and policy preferences with serious and, on occasions, violent geopolitical consequences. This richly detailed and authoritative guide will be of interest to students across the social sciences, as well as anyone interested in current affairs. Bill Winders is an Associate Professor of Sociology in the School of History and Sociology at the Georgia Institute of Technology. "Grains explores the foundational role that maize, wheat, and rice have played in the construction of global food regimes. Taking a deep dive into the political economy of food, Bill Winders combines trenchant analyses with a clear and engaging narrative about the three crops that influence everything we eat." "Banana wars, the Irish potato famine, food riots, climate change and the price of beer, anti-GM protests, food imperialism, and hegemonic rule are all integral features of food regimes. From production to consumption, Winders unearths the contribution of politics, economics, and geopolitics to the global food regimes of rice, maize, and wheat."